One of the most important parts of planning any trip to a new city is checking out the best local restaurants. If you’re on the lookout for a fantastic foodie experience when it comes to your next trip to the great city of Boston, look no further. These top five, critically acclaimed restaurants will have your mouth watering in no time, and the sheer variety of food to be had in this busy city will leave your mind boggled and your stomach growling. Whether you’re dying for a great piece of steak or a vegan supper, a sip of a sinfully delicious cocktail or fries so good they’re a guilty pleasure, Boston has you covered with these five amazing restaurants. 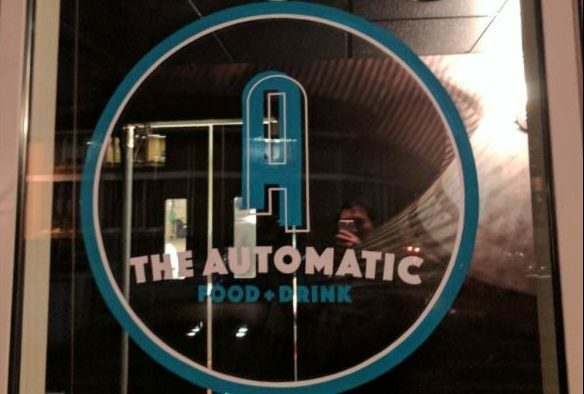 1.The Automatic: If you’re looking for something that combines fancy with casual for a great result, look no further than one of the hippest new restaurants in Boston, The Automatic. Here you can get a delicious plate of five-star fries along with a fancy bit of bone marrow for a dining experience that has Bostonians raving and will certainly have you doing the same! One of the best parts of this dining experience? The cocktails! Specialty drinks take on a whole new meaning at this place, and if you’re looking for the high life, you will definitely enjoy it here, sipping on The Automatic’s famous “Silent X” cocktail. 2. The Capital Grille: Looking for a luxury dining experience like no other? Try the Capital Grille, a four-star steakhouse with prime cuts of meat that will have your mouth watering in seconds. With a fine dining ambience that will leave you relaxed and ready to enjoy your delicious dinner and accommodating wait staff ready to serve your every culinary need, The Capital Grille is the place to go for a great piece of steak and a luxury experience that will make you feel like a VIP in every sense of the word. 3. By Chloe: If meat turns your stomach and a formal dining experience just isn’t your scene, try By Chloe, a hidden gem in Boston’s crown of delicious eateries. By Chloe is a fast and casual restaurant serving delicious and all-vegan cuisine in a friendly and calm environment with a natural and relaxed ambience. Enjoy an eating experience that fits in perfectly with your diet needs and snack on By Chloe’s vegan interpretations of classic Bostonian favorites like lobster rolls and clam chowder. 4. Ostra: If you’re looking for seafood without a vegan spin, try Ostra, an award-winning restaurant that’s critically-acclaimed for its delicious seafood fares. Just like Capital Grille, Ostra is a fine-dining facility, so if you’re looking for a romantic date night while you’re in this historic city, look no further! Ostra is the perfect place to cuddle up with your significant other for a candlelit dinner that offers unique fine-dining versions of all your savory seafood favorites. 5. Roxy’s Central/A4Cade: This well-loved spot is a local favorite that acts as a kind of two-for-one deal when it comes to a divine dining experience. Snack on delicious reinventions of old favorites like Roxy’s world-rocking grilled cheese before heading to the back to visit A4cade’s pinball machine, foosball table, shuffleboard court and arcade games. Perfect for a fun and fiercely competitive date night for those who are kids at heart, or even a family outing for those traveling with children, this is the pinnacle of casual and fun eateries perfect for a relaxed night of fun, food and games. Will you be giving any of these restaurants a try the next time you visit Boston? Let us know in the comments!